PRINCE William and Prince Harry “cannot stomach” carrying out some tasks together anymore for one very sad reason. In recent months, reports of an ongoing rift between the two brothers have escalated. 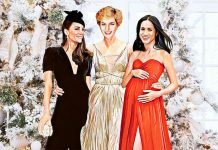 The rumours have been fuelled by speculation of a row involving their wives Meghan Markle, the Duchess of Sussex, and Kate, the Duchess of Cambridge. According to New Idea, the Sun’s executive editor, Dan Wootton argued tensions have risen so much they “cannot even stomach keeping their charitable projects together as they separate their households”. 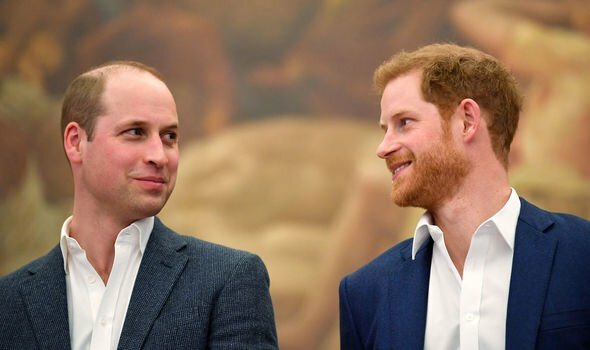 Mr Wootton said the “unbreakable” bond between the brothers may be broken after the royals go their own ways. He said: “Many want to believe the bond between the two lads who grew up in the brutal spotlight of their mother’s death is unbreakable, which is the case when taking the big picture into account. 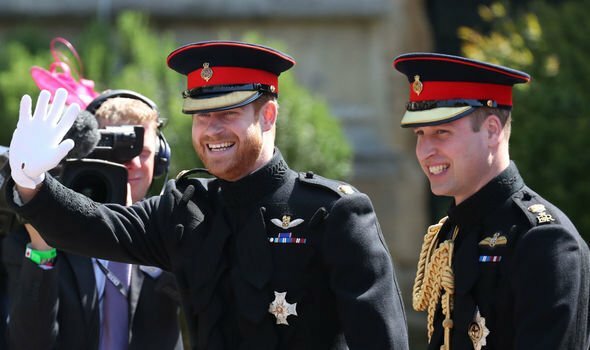 “But a gulf has developed between them since Meghan empowered Harry to be the new-age celebrity royal he’s tried to become for years. Last week plans were announced that Meghan and Harry would be splitting from the Cambridge’s royal households. The Duke and Duchess of Sussex will soon have their own household to demonstrate their growing roles as senior members of the Royal Family. 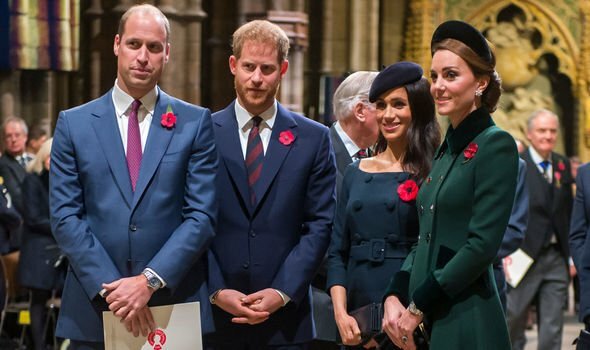 The move away from sharing households with Prince William and Kate, the Duchess of Cambridge sees their backroom staff split. The Duke and Duchess of Sussex will have their office based at Buckingham Palace, instead of Kensington Palace where Kate and William’s staff will be located. The move will likely not take place until after the birth of their first baby, which is due around April time. Princes William and Harry separated from their father the Prince of Wales’s household when they came of age, which was always expected. Meghan Markle and Prince Harry have been married since 2018. Since then, Harry’s body language has changed, according to expert Judi James. 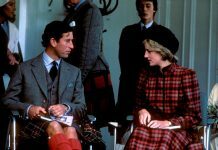 Ms James told podcast “Pod Save the Queen” that Harry now displays nervous “self-touching” micro-gestures. She explained: “Those are the kind of gesticulations that you see lot in Windsor males but not so much with Harry.